“PROST!” A toast to one of Munich’s most timeless traditions — Oktoberfest! On Saturday, September 29, from 11am-9pm, Bottomless Oktoberfest will take place only half a mile away from ONE Mission Bay. Watch as the lawn at Spark Social gets filled with outdoor games, live music, and special competitions that would have any native Bavarian blushing red with excitement. 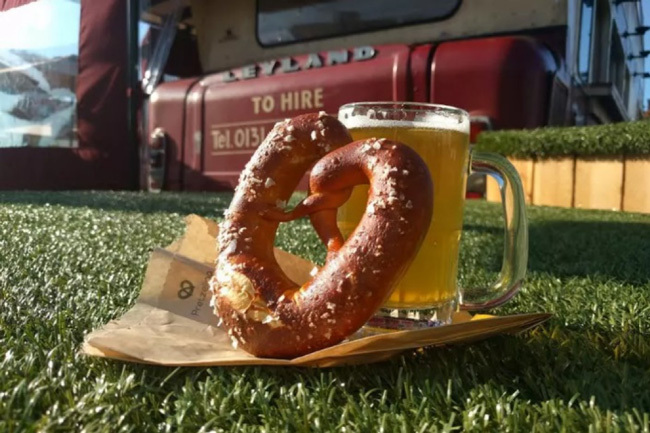 Come hear the sounds of ringing steins as ladies in lederhosen cheer to bottomless German-style beer, and be ready to smell the delectable dishes of over 15 of the best food trucks SF has to offer. For those lucky enough to snag a $36 pre-sale Bottomless Oktoberfest ticket, an endless stream of crisp German beer will be pouring from 12-4pm, served in the iconic Bavarian glass stein. General Admission is FREE for all ages, so come, raise a glass, and wave so-long to another beautiful summer spent under SF’s sun-touched hills.